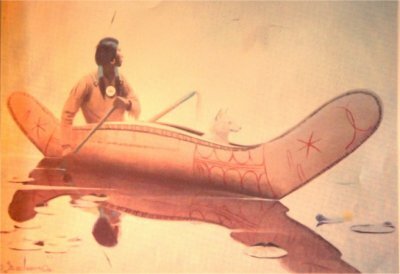 The Hare Indian Dogs were located mostly in the Northeastern Territories of Canada and the United States around the Great Bear Lake, Southwest to Lake Winnipeg and Lake Superior and West to the Mackenzie River. Named after the Hare Indian tribe, but was also owned by the Bear, Mountain, Dogrib, Cree, Slave and Chippewa tribes. But like most of the working types (breeds) found in the Americas, they were also found in lesser numbers scattered amongst the other areas. 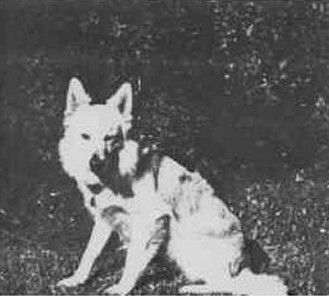 Hare Indian Dogs were also sometimes referred to as Trap Line Dogs as they were used for checking the traps with canoes or on foot or snow shoe and packing the beaver skins out. 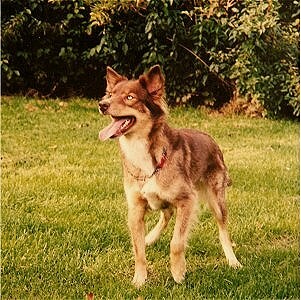 They where a smaller 17 to 19 longer haired dog, very refined and lean built. They were very collie like in their personalities. In my opinion they were related to the Vikings Dogs that were introduced to these areas around 2,000 years ago and probably mixed with Inuit and older Hare type dogs and eventually mixed with the Common Tahltan to become the Plains type. They had a very similar look and personality to the Icelandic dogs of today, so this would also be proof of this Viking dog relationship theory. 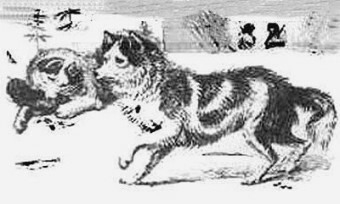 The Inuit's dogs were also more collie like and smaller back then, as were all the Indian Dogs at that time and were probably more related to each other then, unlike the differences now between the Inuit and Icelandics. 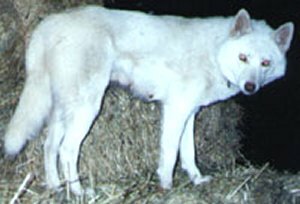 The Inuitt dog has become larger and more Husky-like in modern times, even the largest Malamutes from pre-Columbian times were never over 75 lbs. Because of this, please dont let the fake Native American Indian dog breeders fool you into thinking any true Indian dog could be over 75lbs, let alone 120 lbs. From the Elders themselves and the early explorers, the Hare Dogs were very friendly, affectionate and playful, even with strangers. One early explorer explained the Hare dogs as being very fond of being caressed and rubbed its back against you like a cat and loved everyone it met. This was one way we could identify a Hare Dog, when finding our foundation Hare bloodlines years ago. The Icelandics modern dogs also have this personality; this presents another theory factor in the Icelandic relationship with the Hare dogs. 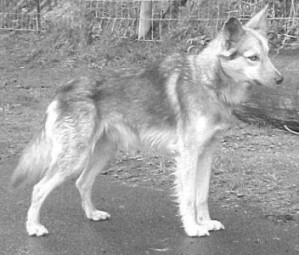 Many of our modern American Indian dogs have this quality passed on from their old Hare dog descendants, as experienced by many American Indian dog owners. spiritual companions to the Hare Indians. Even though very loving, docile and small, the Hare dogs were very fast hunting and herding dogs that rarely barked. Also they were very strong for their size, pulling toboggans, sleds and packing. Like the Tahltans, they climbed trees like cats and would often pull birds and game from trees. Being silent hunters, they could surprise game that thought they were safe there. Hare dogs had a very slender head and muzzle, large erect thickish pointed ears and light yellow and gray eyes. Slender legs with webbed hairy feet and a bushy type tail carried down and usually very humbly under their rear. They had longer hair around their shoulders with a ruff and britches. 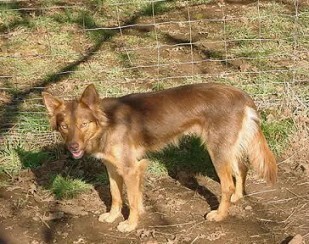 There is usually a dark patch above the eyes and darker sable coloring shadowed through the longer hair coats. 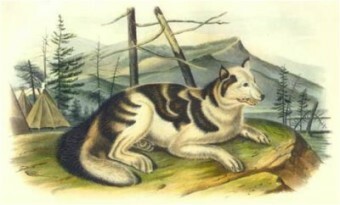 They were found in the same colors as the Plains and Tahltan Dogs. 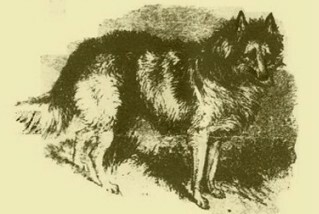 There was a shorter haired version called the small Indian Dog that was found in the warmer climates down the Atlantic coast and down into the tip of south America, but they were not as numerous as the populations concentrated in the Hare dog's territories. These dogs were either related to the Pueblo dogs, Hare dogs or both. 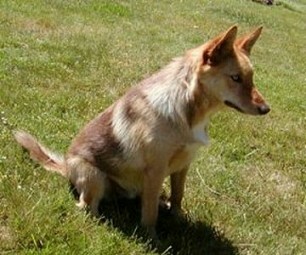 Small Indian dogs were also used for herding fish into nets and thick forest hunters in the Amazon forests, climbing trees silently after monkeys. 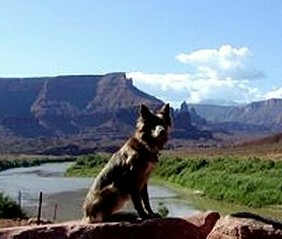 old and new American Indian Dogs.